Where can you learn about Jira, improve your coding skills, and grow your business all in one place? At Skillshare! Skillshare is an online learning community with thousands of classes on design, business, technology – and now, Jira! It’s the Netflix of learning. 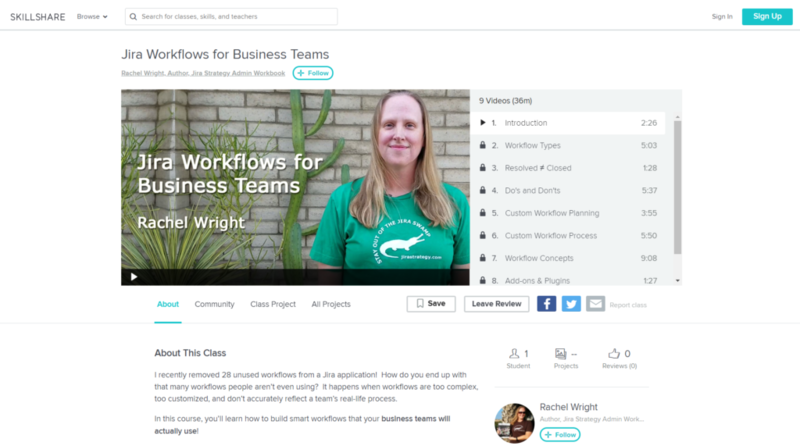 Rachel Wright teamed up with Skillshare to create “Jira Workflows for Business Teams” to help you build smart workflows that your business teams will actually use! This course is available now to all Skillshare members! Don’t have an account? 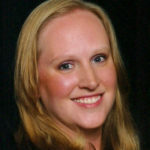 Sign up to enroll in Rachel’s class, access all the other classes, and receive a one-month free trial. Learn how custom fields work, when a new custom field is warranted, and how to safely remove custom fields. This course is for anyone new to Confluence. 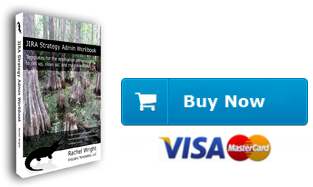 After this introduction, you'll feel confident creating pages immediately.